We have different subjects in secondary schools. The school is comprised of junior secondary school and also senior secondary school. The senior secondary school is divided into 3 classes or rather areas of interest. We have the Arts, Social Science and the Science class. Our main focus on this article will be on the list of Art subjects in Nigerian Secondary Schools. Arts subjects are taught in secondary school for students who have an interest in it. The knowledge of arts subjects in secondary school takes you further to the higher institution where you can study a particular course related to it. Being an art student in the secondary school requires you to make research concerning your field of study, several students fail to know what is required of them to be an art student. Most times they are termed as the lazy students, but that’s not true many professionals today were art students, many fields of professions like the Lawyers and others are all art. The study of art in school is helpful in running in the day to day activities of life, they are mostly sourced out for in companies and other places. There are several courses you have to offer first in secondary school before moving to be a full-time art student or studying a professional course at the university. Do not let anyone tell you that being an art student does not guarantee you a good paying job, I believe every student has his/her own choices to make in life, do not be influenced by a group of people. Below is the list of art subjects in secondary schools in Nigeria. The subjects listed above are all the art subjects in Nigerian secondary schools, they are 9 in number, which are the basic required subjects to be offered in senior secondary school. When writing your final examinations which is your WAEC or your NECO this subject here are what you will write. Like a tree, art is broad in scope. Art is seen as the combination of diverse fields of learning in the human endeavor, such as literature, geography, history, etc. although in the secondary schools there are quite some differences, as what is studied are not courses but rather subjects. 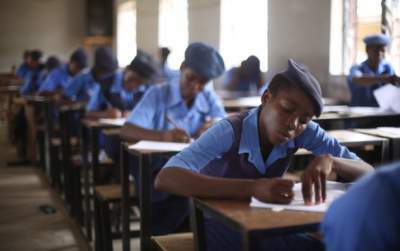 The Nigerian educational system has identified that the secondary school is scheduled to last for 3 years each both for senior secondary students and junior secondary school students. 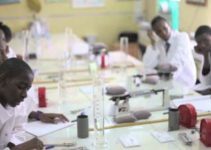 All secondary school offers a high range of subjects which are taught in the secondary schools in Nigeria. In the Nigerian educational system of learning, there are subjects as well as syllabus which are operational or used in the teaching of the students. With the guideline of these national examination bodies know as West African Examination Council (WAEC), National Examination Council (NECO), and Joint Admission Matriculation Board (JAMB) have over the decades have agreed to have generalized schemes, subjects to be taught in the various secondary school in other to adequately prepare the students for their final examination (undergraduate examination). All of the below-mentioned subjects are very necessary if a child or student is to attend the higher institution and failure to adhere to this principle will lead to a delay in having a professional certification in the discipline of his choice. For all students in the Nigeria educational system, it is expected that they offer a maximum of 9 subjects which are core to the area of specialization for them. This list contains a comprehensive detail of what the student should know about art subjects. English language: the English language is a very important subject in secondary school in Nigeria. It is a compulsory subject for every student no matter the area of concentration of study. It helps the students to be able to build up his or her spoken and written vocabulary. In English language the students is taught about key issues such as; comprehension passages, summary writing, article writing, figure of speech, part of speech, letter writing, idiomatic expression, lexis and structure, application of clauses and phrases in English language, register majorly all fields of life and also oral pronunciation in English language. Students in secondary school are expected to have good background knowledge in mathematics because it is a subject that cannot be done away with no matter what field of study one decides to be involved in. Aside from the English language, mathematics cannot be done away in the process of learning. A sound knowledge in it is expected if one is to do exceedingly and such topics includes; algebra, factorization, logarithm, latitude and longitude, simultaneous expression, permutation and combination, bearing, word problem in mathematics, simplification, factorization, probability, fraction, BODMAS, data analysis and presentation (pie chart, pictorial, bar chart, and histogram), group and ungroup data, frequency polygon, construction, simple mathematics operations, etc. After the goods have been produced, there is a need for marketing. In this subject, students are educated on the various marketing mix, how to attract a customer into a business, how to acquire goodwill for an already existing business and many more. Proper accountability, transparency in dealing with financial transactions or revenue is a key reason for the teaching of commerce and accounting in secondary schools. Either of these subjects should be done by the students and with the knowledge of this subject, such an individual can be able to effectively manage a business right from an early age without strict monitoring from anyone who serves as the superior. Economics means acquiring into the wealth of the nation. It is the study of scarcity, human want, and also how goods and services can be made available to the final consumer. Although economics is a science, it enables the students to become better informed about the production processes, distribution, and consumption of goods and services. Religious studies are necessary ingredients in the Nigerian educational system. It is expected that aside from other subjects, the students should be fully grounded in religious studies. In this subject, virtues are taught to the students in other to enable them know how they can become good people unto God, show love unto their fellow human beings and also having respect the government, rules, and regulations governing their land not forgetting that the main purpose is for them to become better citizens of that country. As a result, it is expedient for them to attend such classes and participate in the examination process. It is very good for all art students not only to become equipped in art courses but also have at least a sound knowledge on an aspect of science as the government alongside the educational body has made it necessary and a part of the subjects taught in secondary school. These subjects have a scheme of work that is usually followed thoroughly by the teachers in other to bring out the best in the best in the students. Topics on human health, digestive system, circulatory system, respiration, reproduction animal health and diseases control are all a part of the embodiments of these subjects not forgetting genetics and variation which two very important topics in schools are. This subject emphasis is placed on major literature. Here the reader is expected to be able to effectively digest and interpret what the literature text entails and be able to answer some of the questions asked during the examination. In literature, a bit of English language topics is also included like figurative expressions, parts of speech, drama, prose, comedy, etc. all of which are expected to be fully digested by the students. Government is a very interesting subject for many art students. This to subject is the mother of other art subjects like civic education, social studies, etc. As a result, a student cannot acquire admission let say for instance to studying public administration in the higher institution (University) if he has failed this subject while sitting for the secondary school examination (Waec or Neco). As important as this subject is, key topics that shape the minds the students are essentially taught, for example, constitution, human right, political parties, political participation, apathy, election, colonialization, independence, public opinion, arms of government and organs of government, etc. To emphasize the importance of this subject, it is still been taught in higher institutions of learning; hence a poor knowledge of the subject will affect the student in this modern era where people without knowledge are ill-informed. It is very important to admit here that all of these subjects are prerequisites for advancement into higher institutions of learning and establishing a good and early foundation in this is very essential. Many students in higher institutions having had a bad background in art subjects find it even hard to cope in such institutions if eventually they are given admission to further their educational career. A good mastering of these subjects enables one to become a master of his own future and choosing a good career for his or herself after the secondary school education.